I’ve been planning to start sharing the occasional recipe on Underground Crafter for a while. This is my version of an Italian classic, Pasta e Fagioli (Pasta and Beans). One of my recent goals has been to eat more veggies, so I’ve been making sure to include them in everything I cook. My version of pasta e fagioli is a bit drier and less tomato-y than other recipes I’ve seen. Years ago, I was an avid “Once a Month Cooker” (also known as OAMC), and I got into the habit of prepping ingredients for several meals at once to save time. These days, my freezer is too small to do OAMC, but I still try to prep for a few meals at once when possible. My veggies, prepped the night before. I still like to cook up the Pasta e Fagioli and then freeze whatever I don’t eat right away into lunch-sized portions. After I defrost those portions, I heat up an individual serving with some more broth to add a little moistness and flavor. If you prep the night before, keep the garlic and spinach separate from the other vegetables. I have a greater love of/higher tolerance for garlic than the average American, so adjust accordingly! I use the amazingly powerful bay leaves from a local farm, so you may need 2-3 to achieve the same flavor. Windfall Farms’ Sweet Bay Leaf. This is powerful stuff! I prefer my pasta e fagioli on the drier side. If you prefer a more soupy version, use 2+ cups of broth. If you prefer your spinach more wilted, add it to the medium-sized saucepan in Step 5. Tomatoes, pre- and post- crushing (Step 4). Soak beans in 5 cups of water overnight, drain water, rinse thoroughly, and drain water again. Or, use the quick soak method: bring the beans and 5 cups of water to a boil in a medium-sized saucepan for 2 minutes, remove from heat, keep covered for an hour, drain water, rinse thoroughly, and drain water again. Or, substitute with 2.5 cups of rinsed, canned beans. Skip to step 3. In a medium-sized saucepan, add the beans, 5 cups of water, and bay leaf. Salt thoroughly and bring to a boil on high heat. Lower to medium heat, cover partially, and let simmer, stirring occasionally. Cook until beans are softened, about 60-90 minutes. Drain beans, reserving liquid and bay leaf. Set beans aside. In a separate large-sized saucepan, add reserved cooking liquid and bay leaf. Following pasta package directions, add additional water, if necessary, and salt. Drain pasta and return to large saucepan. At the same time, in the medium saucepan, heat olive oil. Add carrots, celery, shallot, and plum tomatoes. Stir to coat in oil. Add salt and pepper. Saute over medium heat, stirring occasionally, until tomatoes begin to soften. 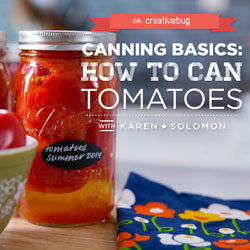 Crush tomatoes with the back of the spoon. Add garlic and continue to saute until softened. Add chicken or vegetable broth to medium saucepan (with vegetables) and bring to a boil. Add beans and spinach to large saucepan with pasta. Pour in liquid from other saucepan and stir to combine. Simmer briefly until spinach wilts slightly. Remove from heat and serve. Garnish with shredded Parmesan cheese if desired. © 2015 by Marie Segares (Underground Crafter). This recipe is for personal use only. Do not violate Marie’s copyright by distributing this recipe or the photos in any form, including but not limited to scanning, photocopying, emailing, or posting on a website or internet discussion group. If you want to share the recipe, point your friends to this link: http://undergroundcrafter.com/blog/2015/07/09/recipe-maries-pasta-e-fagioli. Thanks for supporting indie bloggers!